A fine day, a fine argument, a fine fight, and an equally fine police case. While generally associated with Batman movies (or was it Superman? ), the previous situation isn’t very uncommon among the fans during derby matches either. But which teams make it to the list of greatest rivals? Here’s an attempt to make one! French Ligue 1 doesn’t get its share of money, TV viewership or accolades (well it doesn’t deserve a whole lot either), but the proud Lyonnais often split the country when they clash with the most famous of the French clubs, Marseille. This rivalry can be traced back to the end of the 2nd World War, when the two teams clashed for the first time. This match has, since then, has been christened as ‘Choc des Olympiques‘ (Clash of the Olympics). With nearly 25% of France supporting either one of the two clubs, their matches are a delight to watch, and are generally clean due to a lack of ‘bad blood’ between the two French giants. 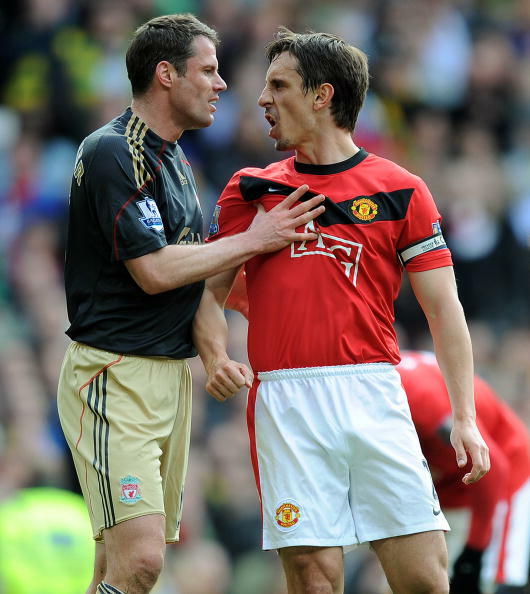 Disagreeing slightly with Ryan Giggs, who rated this as the fiercest rivalry in British football, I placed this match-up lower due to a lack of world class performances from Liverpool lately. Often titled as the ‘Industrial Rivalry’, due to Manchester’s textile industry and Liverpool’s ports, these two clubs are undoubtedly the most successful clubs in English football as far as history is concerned. Routine clashes between the Reds and the Red Devils are a treat to watch, or at least used to be a treat, with Liverpool sinking (or should I say ‘walking alone’) into mediocrity (although they do manage to cause upsets, like Durk Kuyt’s hat-trick did a couple of seasons previously). It is also referred to as the ‘North West Derby’ (no prizes for guessing the reason!). To those of you who think these two clubs have been granted a spot due to their and my nationality, think again. 86 years of rivalry, that featured in the FIFA list of classic rivalries, does deserve a sport on this list. Due to a lack of funds and world class players, these teams may not be world class, but their antagonistic approach towards each other is meteoric. With the Salt Lake Stadium’s 120, 000 capacity, and a fisheries economy that is semi-dependent on the result of the Kolkata derby (it is said that the price of the Prawns rise whenever Mohun Bagan wins), this rivalry is one to watch! Keep following the series, other fiercer and greater rivalries still to come!